Following yesterday’s countdown of the 10 most read news stories of 2018, it’s time to look back at the most watched videos. Again, it was the incidents and controversies that grabbed the most attention, with Triple Eight well and truly in the spotlight throughout a tumultuous season. Mark Winterbottom and Shane van Gisbergen tangled while on out-laps in qualifying at Winton. 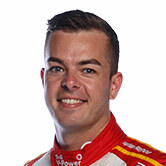 Although no penalties resulted, the follow-up proved spicy, with the Ford driver labelling his Holden rival a fool for his actions. Having broken cover at its maiden track test at Queensland Raceway earlier in the week, the new Mustang’s second test at Phillip Island provided the first video of the car on track. Although brief, the footage gave an indication of what Supercars fans can expect in 2019 when the new car makes its race debut. 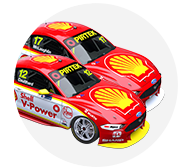 The year-long war between DJR Team Penske and Triple Eight kicked off in Adelaide, with the Ford squad upset over Shane van Gisbergen’s approach to track limits in the Shootout. 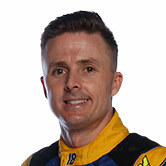 Triple Eight owner Roland Dane’s response was cutting, adding fuel to a fire that would burn all season. Another chapter was written into Jamie Whincup and Paul Dumbrell’s book of Bathurst woe in 2018. The #1 car was a strong pre-event victory favourite, but dropped almost two laps when a wheel fell off with Dumbrell driving in the early stages. Supercars champion drivers-turned commentators Mark Skaife and Russell Ingall were fired up over Shane van Gisbergen’s park-in on Scott McLaughlin at Pukekohe. While the Holden driver later protested his innocence, the TV pundits were among those adamant it was a deliberate act, and felt McLaughlin should have retaliated. McLaughlin’s ultimately successful championship assault kicked off in an unfortunate manner at Sydney Motorsport Park’s pre-season test in February. A tyre failure at Turn 1 – while the team was using the last of its troublesome 2017 stock – sent McLaughlin careering off at high-speed and into the barriers. News that van Gisbergen’s second Saturday pitstop at Pukekohe was under investigation had everyone clambering for another look at the footage. In the end it wasn’t a case of whether the rear wheels rotated, but by how much, with no penalty ultimately awarded based on a tolerance of less than one full rotation. 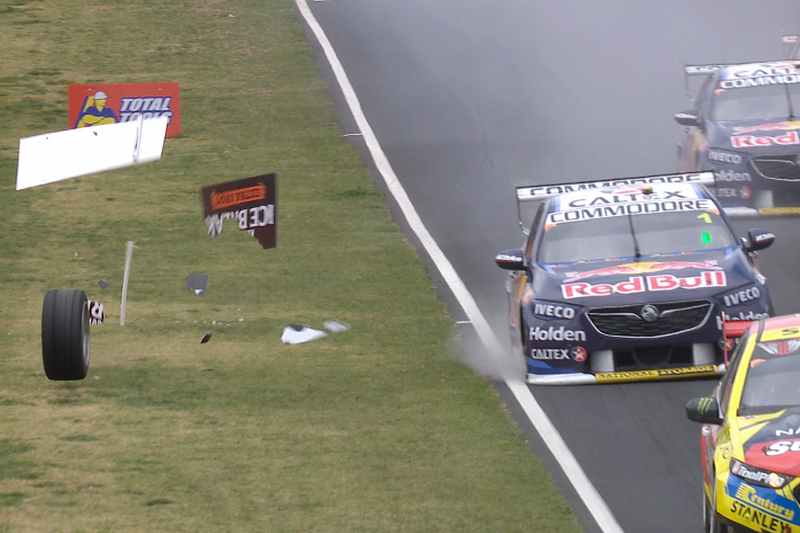 Seven-time and reigning Supercars champion Jamie Whincup’s brand new ZB Commodore suffered a heavy hit during Friday qualifying at the Adelaide season-opener. The spectacular Turn 8 crash was the first of Whincup’s career at the infamous corner, and put the Red Bull Holden star on the back foot for the remainder of the weekend. While overshadowed by other late-season Red Bull pitlane controversies, Whincup’s breach on Saturday at Phillip Island was big news back in April. Racing McLaughlin to the pit exit, Whincup turned his pitlane speed limiter off before reaching the critical line, earning a penalty that dumped him from second to 14th. It proved to be the turning point in the title battle; van Gisbergen’s Holden being lowered from its jacks before the fuel coupling was disconnected. While officials investigated and ultimately applied a penalty that stripped the Kiwi of the race win, fans clambered to watch – and re-watch – the footage of the critical stop.